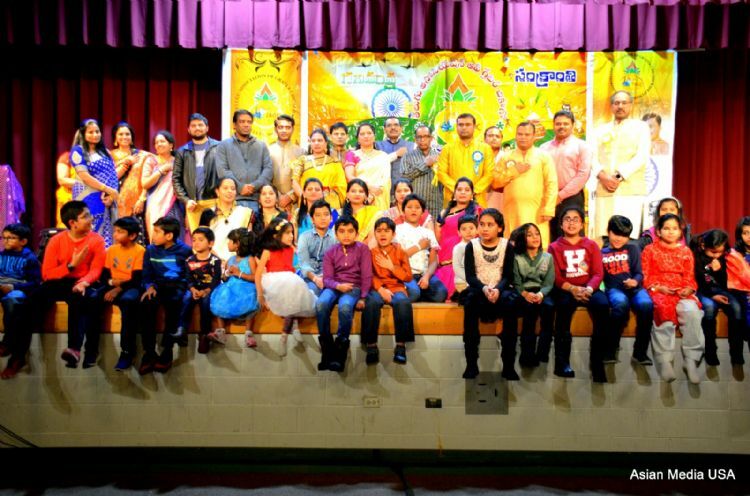 Lemont, Illinois: Telugu Association of Greater Chicago (TAGC) celebrated Makara Sankranti and Indian Republic Day with Chicago metro area Telugu families at the HTGC Rama Temple Auditorium in Lemont. 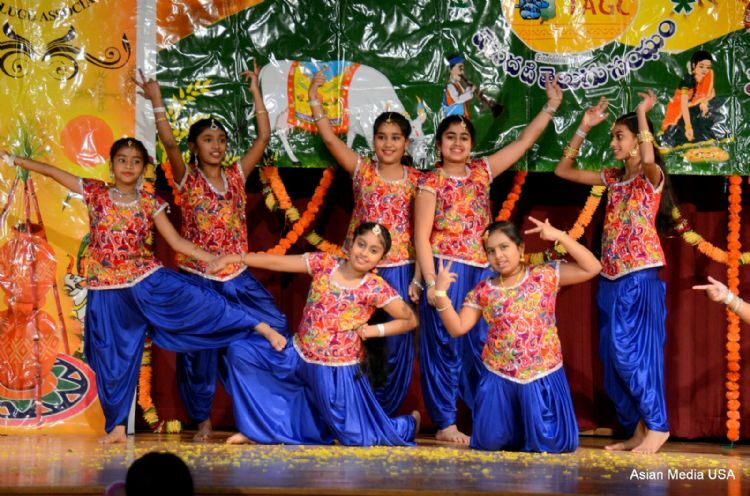 TAGC is first Telugu Association in North America. The event was conducted on 26th January, 2019 from 2:30 PM to 10 PM. 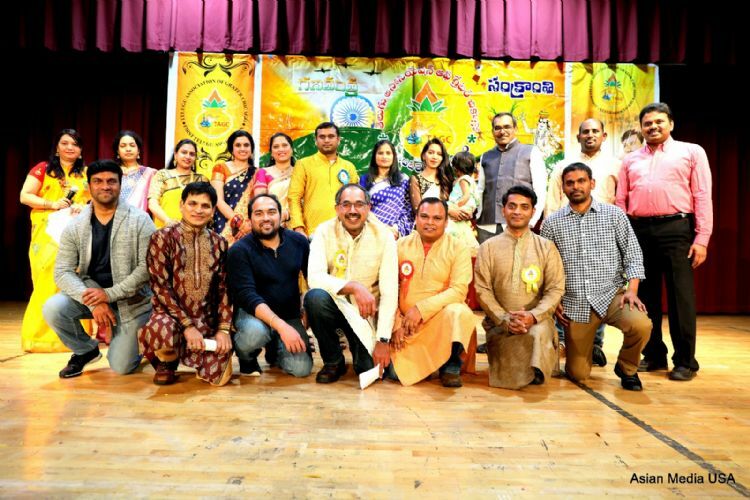 TAGC Board decided to do this event with all local talent to promote the Telugu culture, traditions and encouraged youth to preserve traditions. 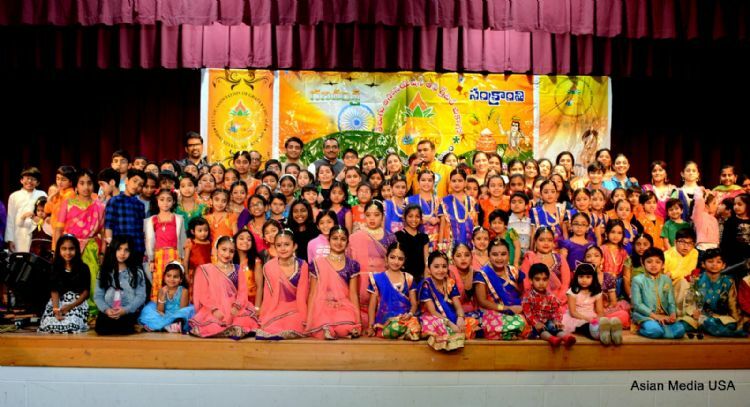 The event got an overwhelming response from the Telugu community with over 1100 guests in attendance. TAGC President Ramu Billakanti welcomed and wished good health, prosperity and wealth to TAGC Members and all Telugu People across the globe. He recognized and thanked all Sponsors, Volunteers and encouraged to take membership by all attendees. According to Membership committee chair Venkat Gunuganti, the Event received tremendous response with over 1100 people attending from distant places even when the day had negative temperatures with 4 to 5 inches of snow. Cultural Head Uma Avadhuta mentioned that the event showcased 36 programs with over 340 participants. Event Started with Lighting Lamp by the President Ramu Billakanti, Secretary Venkat Gunuganti, Praveen Vemulapalli, President-Elect, Uma Avadhuta, Cultural Chair & Jt Secretary and other board members. It then followed by Lord Ganesha prayer and several programs & shows designed around Sankranthi and Republic Day Theme. Chicago Local singers entertained all sections of the audience. Kids took over the stage as they started dancing to songs. Audience were enthusiastic to see all decorations throughout the Auditorium. Bommalla Koluvu, Kite decoration, Harvest Crop theme were special attractions. Decorations Committee Chair Vani Yetrintala thanked Saumya Bojja who did all the decoration work for TAGC. There was also a Rangoli competition (Muggula poti) on Sankranthi theme and winners were given prizes. There was also a Mehendi (Gorintaku) free for all TAGC Members. TAGC Sankranti cultural Celebration also included delicious dinner with 10 items. Several Volunteers led by Food Chair Parameshwara Yarasani has streamlined the process and provided food for all the guests within an hour. TAGC Board thanked Bawarchi restaurant for providing tasty and delicious food at a nominal price. Co- chairs Neelima Cheikyacharla, Archana Reddy Podduturi, Madhavi Kondam, Secretary Venkat Gunuganti, Presient Elect Praveen Vemulapalli, Treasurer Vijay Beeram, Jt Treasurer Ranga Reddy Lenkala, EC Member Anji Reddy Kandimalla, Food Committee Chair parameshware Yarasani, Decoration Chair Vani Yetrintala, Hospitality Chair Swetha Janamanchi, Board Members Srinivas Kandru, Sampath Sangem, Santosh Konduri, Rohit Akula, Naveen Aduma, Eeshwar Gumidyala, Manasa Lattupally, Bindu Gongati, all the MCs Shantan Toodi, Laxminarayana Ponnaganti, Radha Krishna Kotrakonda and Pranathi Kaligotla, Singers and Several TAGC Volunteers made the program a memorable.